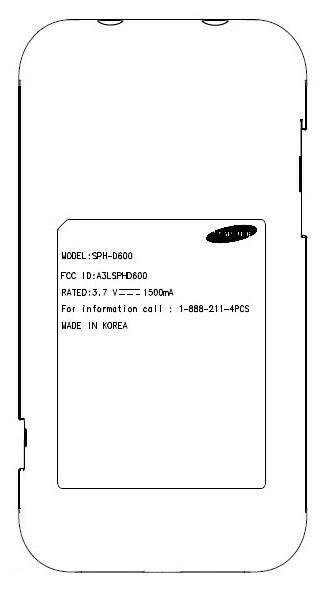 A Samsung phone with model name SPH-D600 is rumored to be a Sprint 4G handset with a slide-out QWERTY keyboard. Some of its specs sound quite good to us, as it's said to pack a 1GHz Snapdragon MSM8655 processor (the same one that is to power the LG Revolution), Gingerbread and WiMAX 4G connectivity, but, on the other hand, it's rumored to offer an HVGA resolution and a 3.1MP rear camera, which hints that this handset won't be billed as a high-end device. Its QWERTY is said to be similar to the one we saw with the newly-announced eco-friendly Samsung Replenish (hands-on). A front-facing camera is also on board. The lads at Blog of Mobile say this phone passed its FCC test on April 29 (and have a pic to prove it), but its FCC ID returns no results on the feds' site. Sweet. 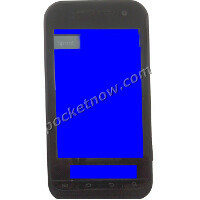 With a single stroke this phone will replace the Transform AND compete w/ the Evo Shift 4G. I don't see anything on the label that talks about WiMax. I know that on my Evo Shift there is a part of the FCC sticker that says something like "WiMax: ######(some number)". I could see this being an update to the Transform/Intercept, but I think that any phone will be better than the Moment. I also think that it would be awesome if Samsung were to be putting a 1Ghz Hummingbird processor in all their phones.